I first saw this suggested by Tod Pike in the bug https://bugs.launchpad.net/ubuntu/+source/linux-source-2.6.20/+bug/87262/comments/6 but don’t know if that was the first mention. Well, it works. I’m a noob at Linux, but the network admin for a large church. Testing things out…native mouse features would be good. BTW, is there any vmadditions? How can this be done on Kubuntu? I’ve managed to use Alt+F1, etc. to get to system settings but I can’t seem to select anything from that point on using the keyboard (seems to be a weakness of KDE). Is there any way accessibility options can be run from Konsole? It’s rather strange it doesn’t work for me, even though I’m following your directions to the letter. I get the setting dialogs and everything, but the numeric keyboard just won’t move the mouse anywhere. It’s not the first set-back I’ve had with Ubuntu though :(. It’s all very strange since I’m using MS Virtual PC 2007 and 7.04 of Ubuntu, and my keyboard is a regular Logitech UltraX Media Keyboard. Any ideas? Me again: it just didn’t work before I had installed it to the virtual harddrive, for some reason. Plus now, DHCP connecting to the internet doesn’t work: if I set IP and everything from ipconfig in Windows, then Windows loses the connection. Hmm. Wonderful. Thanks, that helped me. btw Ubuntu 6.06 doesn’t have this issue. Here is a patch that fixed the problem for me. Thanks for the link John, I just tested it and it worked great. Everyone, please see my post for May 17 at http://shrinkster.com/p2w , it outlines what I did to install the patch. How do you apply the patch that John proposes? arcanecode >> Your link that should outline the steps is dead? Sorry Crazy, for some reason the comment decided the comma after the p2w was part of the link. I edited the comment to put a space after the p2w, should work OK now. Thanks for the catch. thanks for the workaround ! Mouse is working… Now I wish that the scroll wheel worked. Got use to having that feature while in my browser… any hints ? I know the discussion is about ms virtual pc (2007) – just needed an alternative to all this hassle 🙂 . I had the same issues with graphics, mouse and keyboard drivers. Plus that MS VPC 2007 seamed a bit slow for my likeing, so I replaced it with InnoTek VirtualBox (also free), and runs like a charm. (didn’t have to boot in safe graphics mode, had mouse and keyboard right away) Plus I can allocate up to 128M to the Ubuntu graphics. Thank you for your detailed post. Now I have my ubuntu working. I, like Dee, wish to have the scroll wheel working. Any hint? This fix the mouse problem for me. Thanks a bunch! I was trying to track down why the mouse wouldn’t work, and this worked like a charm. Does anyone know if the forthcoming Ubuntu 7.10 fixes this? Michael’s sollution worked! Just add the extra parameter at the end of the boot line and the mouse will work in Virtual PC 2007! Press F6 to access the Boot Options line. At boot press the Esc key enter the grub menu screen. Make sure your kernel boot line is selected. Press e to edit the kernel boot line. Press enter to accept the changes and then b to boot. Once logged into Ubuntu, open the /boot/grub/menu.lst as root. Add i8042.noloop to the end of the kernel boot lines. Thanks so much! Your instructions are so helpful and I appreciate you posting this so quickly. Just got a new PC and install VPC 2007 and Ubuntu 7.10 on it and this helped me getting up and running quickly. 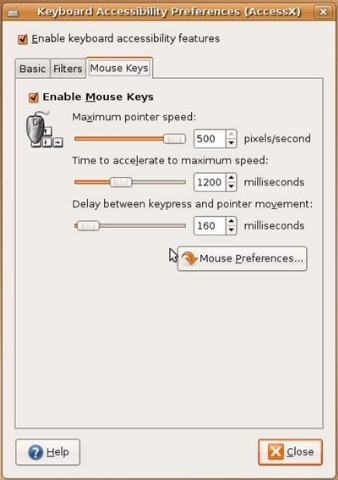 I can’t use the mouse even though I start the Ubuntu 7.04 in safe graphics mode.and when i press ALT+F1 nothing happens.I need help asap! Probz – See my post on installing Ubuntu 7.10, the same instructions for it should work on 7.04. Link is over on the left under Top Posts. Specifically what you need is the i8042.noloop fix. If you ever see this post, thank you very much for the note about “innotek VirtualBox”. I had never heard of it before, but it seems to be very well done. MUCH faster than Microsoft Virtual PC 2007, as well as more customizable, and I had no problems installing Ubuntu 7.10 (mouse works, graphics work, etc.). After I’ve entered the i8042.noloop, I press Enter and NOTHING happens. 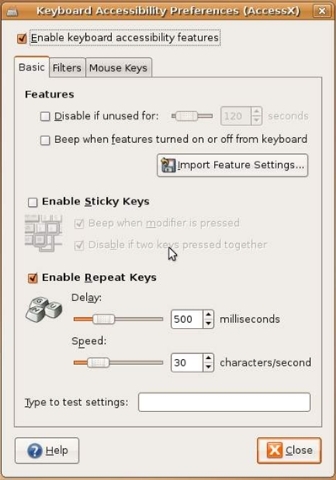 ALL other keys seem to work fine – arrows, F-Keys, but Enter refuses to do anything….. I am new to ubantu and VPC.At the install screen 6/7 I can only enter one password I can not go to the 2nd password field with tab or right arrow. Consequently I can not proceed with the install. Pingback: Keyboard Number Pad Not Working | Click & Find Answer !